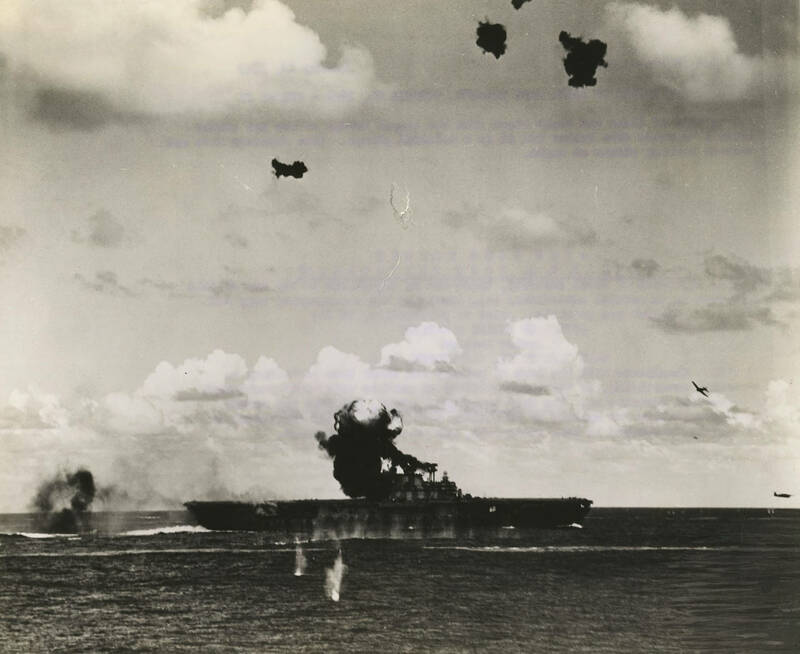 » Bomb from Shigeyuki Sato’s Aichi D3A ‘Val’ dive bomber exploding on the deck of USS Hornet (Yorktown-class) during Battle of the Santa Cruz Islands, 26 Oct 1942. This photograph has been scaled down; full resolution photograph is available here (1,839 by 1,503 pixels). My father was on the Hornet this day. He was blown into the water in the midst of burning oil. He earned his Purple Heart that day. He got out of the hospital just in time for the next hull commissioning and stayed on the Hornet until he was discharged. My Dad, Coe Norvelle Applegate will always be my biggest hero. He was a good man who lived an honorable life.